New Information, Products, Events & More! If you want to know what's new, you've come to the right place! 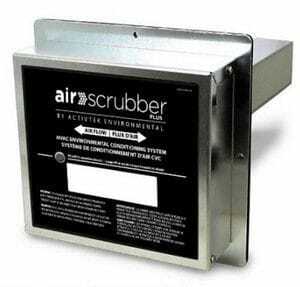 Our customers love the Air Scrubber Plus! It helps eliminate indoor air quality risks by reducing air pollutants, cigarette smoke, dust, pollen, mold, odor-causing bacteria, and odors caused by pets and cooking. Order yours today! Did you know... A new, high-efficiency heating & air conditioning system can save you up to $400 a year in energy costs. That's $6,000 in savings over 15 years of owning the system. Add in rebates & financing, it's a NO-BRAINER! 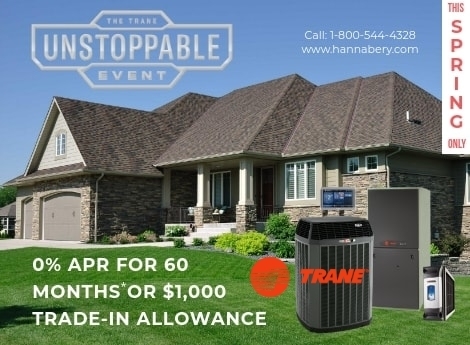 Spring Into Savings with our 2019 Trane Special Offers! Forget roses, Comfort never dies! 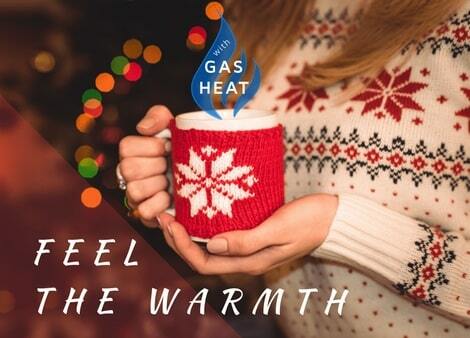 2/11/2019 - Choosing a heating system that will reduce your future energy consumption is one of the smartest investments you can make! 2/1/2019 - We did it again, 5 years in a row! 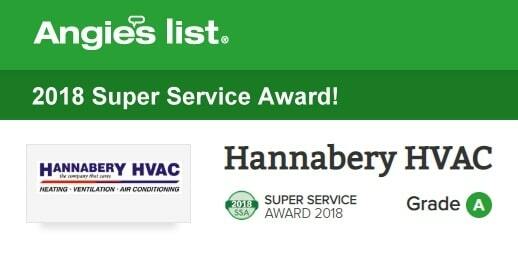 Hannabery HVAC earns Angie's List 2018 Super Service Award! Like previous years, a big shout-out to all of our customers for keeping the reviews coming, and a big thanks to our dedicated employees, (both out in the field and in the office) who work so hard each and every day to provide the best service possible. 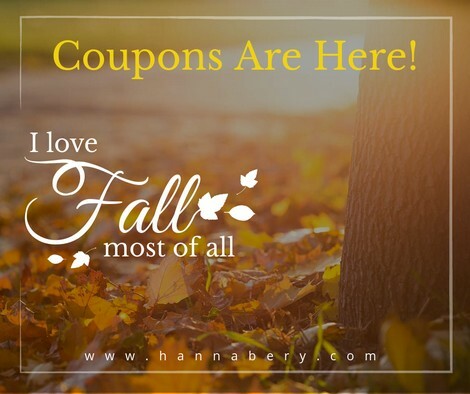 12/20/2018 - By the way, our Winter Coupons have arrived... one day before Winter! 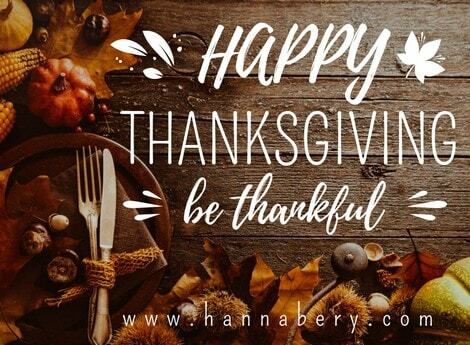 11/22/2018 - From our family to yours, Happy Thanksgiving! And as a reminder, we will be closed on Thanksgiving, but available for emergency service calls. 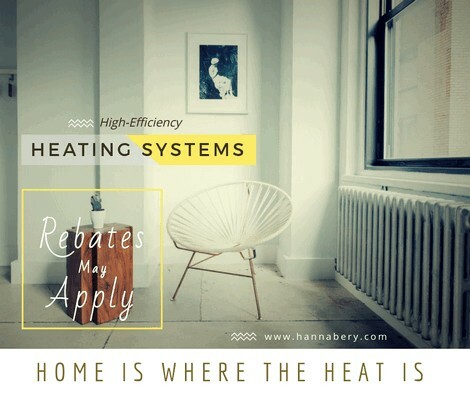 Redeem by calling Hannabery HVAC prior to work being performed. Good through 12/15/2018. 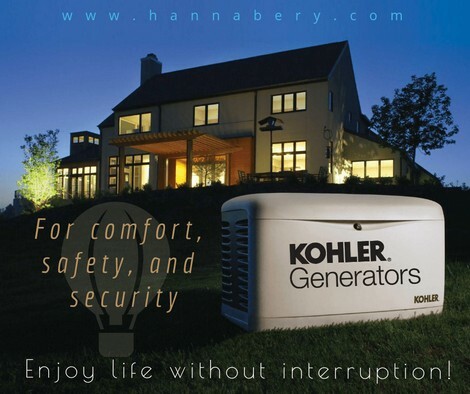 9/17/2018 - KOHLER Home Generators provide affordable and automatic emergency backup power to support your electrical and safety needs by keeping the power on - when and where you need it, without interruption. 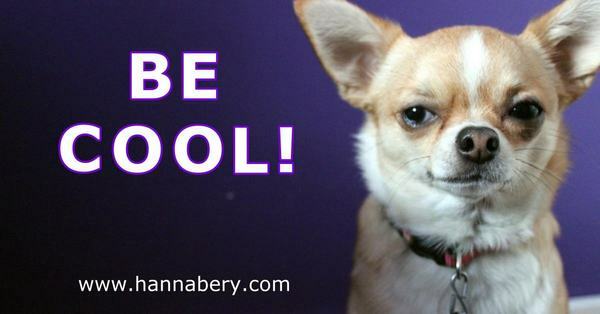 Hannabery HVAC can professionally install a reliable, efficient, and quiet Automatic Standby Generator for your home or small business. Call us today for a Free Estimate! 6/26/2018 - The Summer is here, the heat is here, and that means Coupons are here! 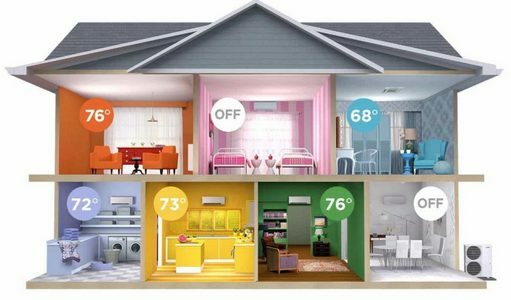 Professional thermostat installations, high-efficiency air cleaners, and new systems. Take a look! 6/1/2018 - CONGRATULATIONS TO JUSTINE SEPONSKI OF PHOENIXVILLE PA, WINNER OF OUR 7TH ANNUAL, 2018 SPRING GIVEAWAY CONTEST!!! We hope you enjoy your new Samsung 40" LED Smart TV, or the Apple iPad Air, or the Nest Pro Learning 3rd Generation Thermostat - professionally installed! And we look forward to seeing you soon to collect whichever prize you choose!!! Spring A/C Tip: Shrubs should be pruned and coil should be cleaned. Maintaining proper airflow around and through the outdoor unit is critical for system performance! Spring into Savings with the Zoned Comfort Solutions 2018 Spring Promotion. This is a limited-time offer and valid on purchases April 1, 2018 through May 31, 2018. 4/10/2018 - Hey, we are finally on Twitter, and we promise not to get into any Twitter wars! So click below to follow us. Thank you! 4/9/2018 - We did it again, 4 years in a row! 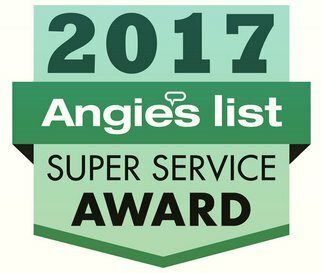 Hannabery HVAC earns Angie's List 2017 Super Service Award! Like last year, thanks to all of our customers for keeping the reviews coming, and a big thanks to our dedicated employees, (both out in the field and in the office) who work so hard each and every day to provide the best service possible. It's time to bring home Unstoppable! But hurry, this offer won't last long! 3/9/2018 - It's time for our 7th ANNUAL SPRING GIVEAWAY!!! 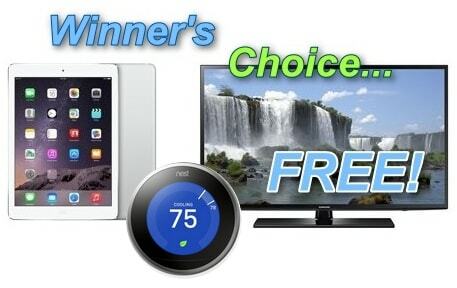 This year, you could win a brand new Apple iPad Air (32 GB, 9.7" Retina Display), a Samsung Smart TV (40" LED, 4K), or a Nest Pro Thermostat (3rd generation with 5 year part warranty professionally installed) - absolutely FREE!!! Winner's Choice. And it could be yours just for scheduling your Spring Maintenance now and having it performed before April 30, 2018. And if you have already scheduled your inspection, NO WORRIES... You are already enrolled in the drawing, so good luck and stay comfortable! 1/18/2018 - Thanks to all of our great employees and customers for helping us achieve the highest level of performance in Sales, Training, Service after the Sale, and Customer Satisfaction! 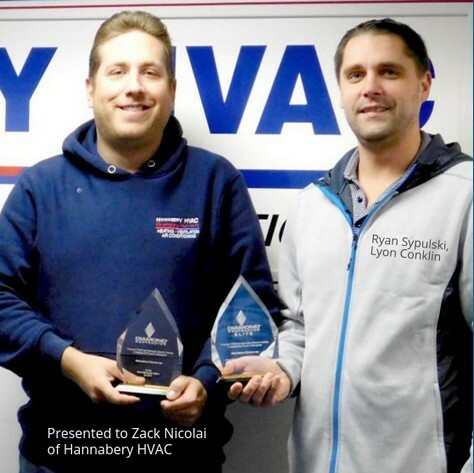 Ryan Sypulski of Lyon Conklin presenting Zack Nicolai of Hannabery HVAC with two Mitsubishi Awards. One - in recognition as a top Diamond Elite contractor, and the other for most units sold by any of their dealers. 11/21/2017 - Be sure to follow us on Instagram where we just posted an article on the importance of maintaining proper humidity. 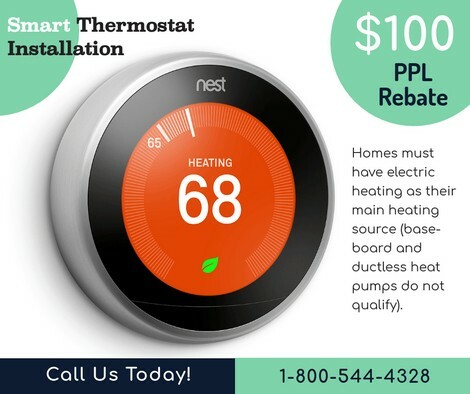 11/17/2017 - Huge $100 Rebate on Smart Thermostat Installation - If you have an all electric home with heat pump. With this rebate, it can pay for itself in one year! And as a Nest PRO CONTRACTOR, along with our guaranteed, expert installation, you'll receive an extended 5 year warranty! 11/9/2017 - Huge Rebates Apply - On Select High Efficiency Furnaces, Boilers, Heat Pumps, and Air Conditioners. Hurry, won't last long! Just fill-out our Estimate Request Form and one of our Comfort Specialists will contact you right away. Go ahead, print it out and use it! Hope to see you there! One per party. 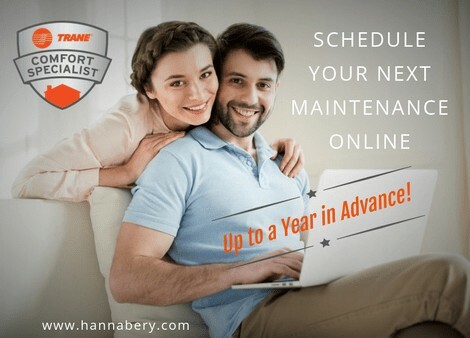 Just fill-out our Online Maintenance Request Form and one of our service coordinators will contact you to setup a day and time that is convenient for you. 7/12/2017 - Just so you know, you should never see ice on your air conditioner or heat pump in the summer. This includes the indoor unit, the refrigerant lines, and the outdoor unit. If you do see ice, turn the thermostat off, set the fan switch to on, and call for service. 7/12/2017 - New Construction - No Problem! We are proud of having one of the largest, hardest working, and most dedicated installation crews in Eastern Pennsylvania. With over eighty installers, we can meet any builder's or customer's needs. We offer effective and efficient design solutions, top-of-the-line equipment, professional, timely service, and all at competitive rates. 7/7/2017 - With today's tighter built homes, Indoor Air Pollution has become a major concern! 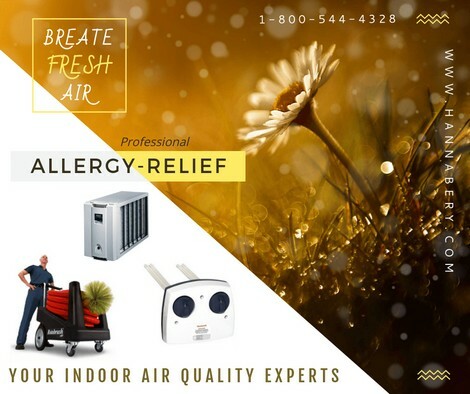 Did you know that indoor air is filled with particulates and irritants, which can cause nasal congestion, eye, throat, and skin irritation, sneezing, headaches, coughs; even nausea and fatigue in some cases? It's true! 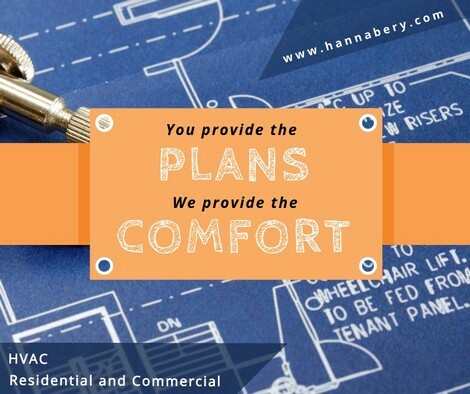 Hannabery HVAC offers a full line of air cleaning products, accessories, and services designed to keep your comfort to a maximum and your costs to a minimum. 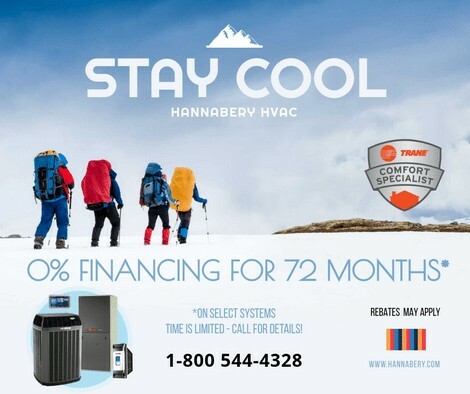 6/23/2017 - Here's a Cool Idea... How about 0% financing for 72 months! Talk to one of our Comfort Specialists today! 6/12/2017 - CONGRATULATIONS TO JESSICA LEE, WINNER OF OUR 6TH ANNUAL SPRING GIVEAWAY CONTEST!!! 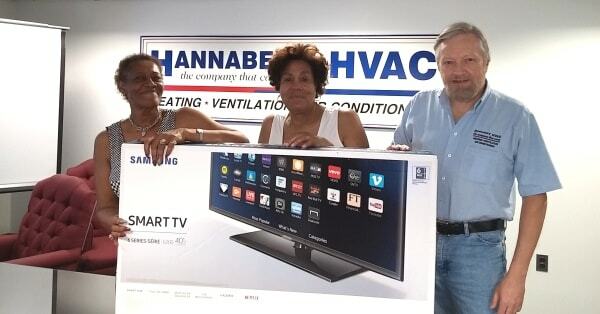 We hope you enjoy your new Samsung 40" LED Smart TV, and we look forward to seeing you in the future. Stay Comfortable!!! 5/26/2017 - Did you know that your hot water heater represents the second largest consumption of energy in the home after heating and cooling? And did you also know that the average life expectancy of a water heater is only about 8 to 12 years? And when it fails, it can leave a mess? We are not trying to scare you, these are just things you should know. 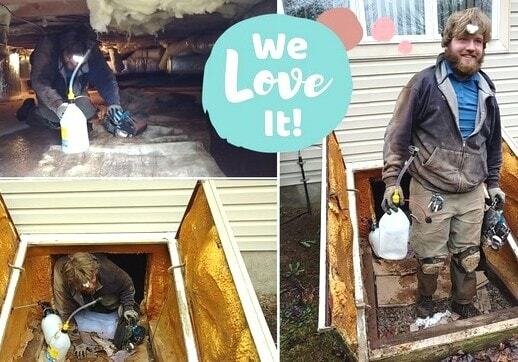 If your water heater is over 10 years old, be proactive and replace it before it fails, when you need it the most! 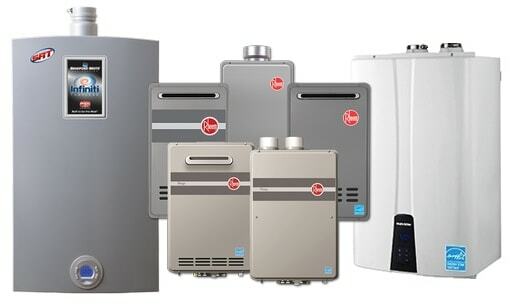 Conventional, tankless, and hybrid models available. 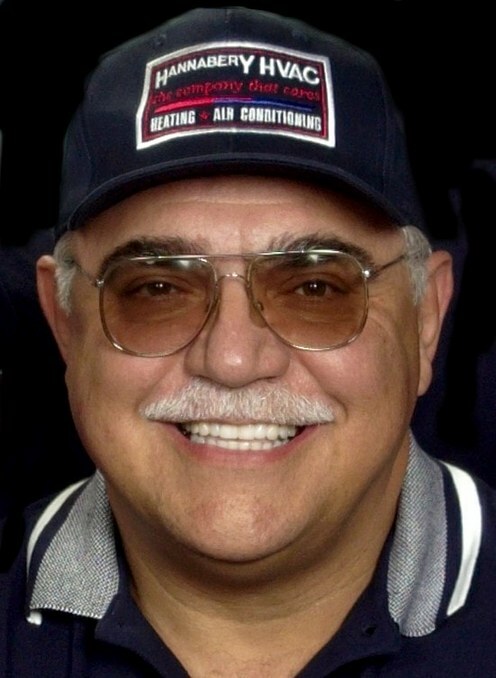 5/22/2017 - On this day 15 years ago, we lost our founder, Gino Nicolai. Always missed, never forgotten, his spirit and kindness lives on in everything we do. 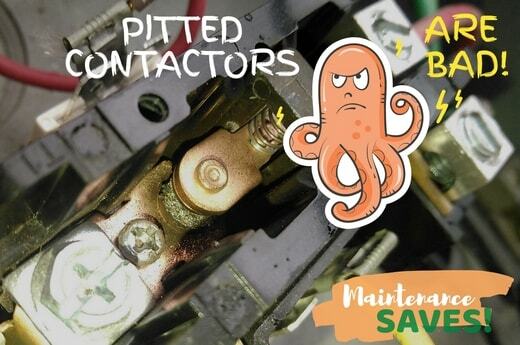 5/15/2017 - Added links for current Pennsylvania Utility Rebate Offers for new high efficiency air conditioning & heating systems, which by the way, can also be combined with equipment rebates! 5/11/2017 - As allergy season moves into full bloom, there is no reason to suffer any longer. Introducing the Air Scrubber Plus® - a revolutionary new system designed to help eliminate indoor air quality risks by reducing air pollutants, VOCs (chemical odors), cigarette smoke, dust, pollen, mold, odor-causing bacteria, and odors caused by pets and cooking. Air Scrubber Plus Activepure technology removes up to 99.9% of the harmful contaminants in your home! 5/8/2017 - Saturday was a great day as we watched United States Marine Corps Gunnery Sergeant Christopher Claude close on his home which was gifted to him by @BuildingHomesforHeroes. We played a small part by installing the HVAC equipment, donated by YORK. We feel honored to be able to give back to our local veterans and will continue to support them in any way we can! Check out the video from WFMZ 69 news of this great event for an all-around great guy! 5/1/2017 - We recently had the honor of installing the HVAC system in a new home for a local veteran and hero who was severely injured during service. The home was gifted by @BuildingHomesforHeroes, an organization that provides mortgage-free homes to veterans. Johnson Controls and its YORK brand of heating and cooling generously donated the unit, and we took care of the installation. All of this was at no cost to the veteran. We are proud to support this organization and veterans everywhere! Join us for an AMAZING Welcome Home Celebration for USMC Gunnery Sergeant Christopher Claude on Saturday, May 6th, 2017. 4/20/2017 - Hannabery HVAC is pleased to announce that we are a Mitsubishi Electric Diamond Elite Contractor! It means we have achieved the highest level of performance in Sales, Training, Service after the Sale, and Customer Satisfaction! Best of all, for any Mitsubishi Ductless Mini-Split system we install, you will receive a 12-year limited warranty on compressor and 12-years on parts. 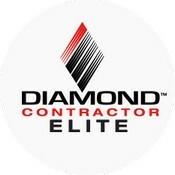 This is an exclusive benefit that only your Diamond Elite Contractor can offer. Nest Learning Thermostat, Nest Protect smoke & CO (carbon monoxide) alarm, Nest Cam security camera - with 2-way audio, indoor and outdoor models. Smart, Simple, Modern! 4/10/2017 - Warmer weather is here, are you ready? 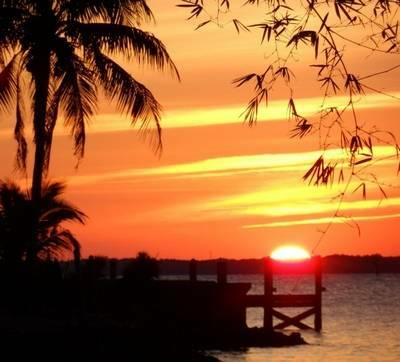 Make sure your air conditioner is ready for summer! Test it out now. 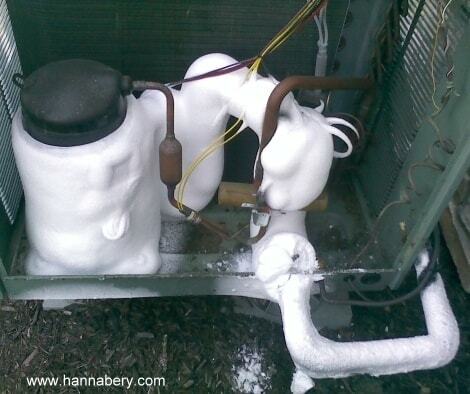 And by the way, if you have a humidifier, don't forget to shut it down and clean it out for the season. Click below for more information and instructions. 4/6/2017 - Added some new Installation and Service photos, some of which show the importance of having annual maintenance of your air conditioning and heating system. 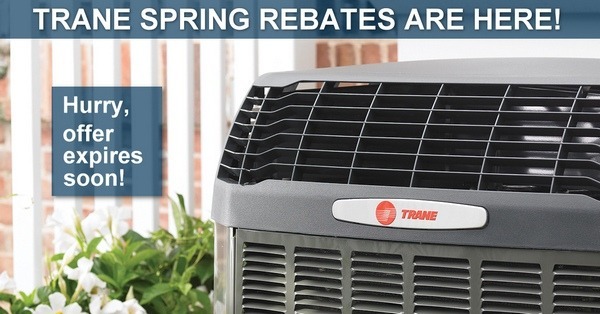 3/29/2017 - SPRING INTO SAVINGS... Trane 2017 Spring Rebates Are Here! Trade-in Allowance: Up to $1,000 on Qualifying Trane Air Conditioning Systems - Valid only through May 30, 2017. Call us today or click below for a Free Estimate! 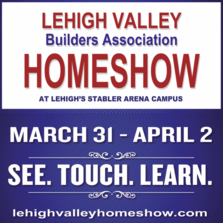 3/22/2017 - Come See Us At The Lehigh Valley Spring Homeshow on March 31, April 1, and April 2, 2017! "See. Touch. Learn." is the theme of the 2017 Spring Homeshow. And we have new products, equipment, and accessories to improve your comfort, health, and savings! 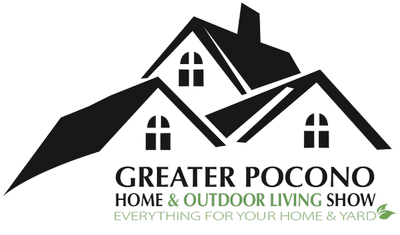 3/22/2017 - Come See Us At The Greater Pocono Home Show! Looking for something FUN to do this weekend? 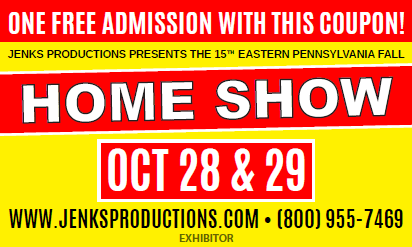 The Greater Pocono Home & Outdoor Living Show is the place to be! Designed for homeowners in all stages of remodeling, landscaping and decorating their homes. 3/20/2017 - Welcome to the First Day of Spring! 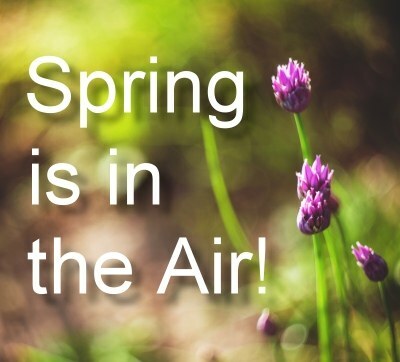 Spring is the perfect time to replace your aging air conditioning/heating system or install that high efficiency air cleaner you need to fight off seasonal allergies! 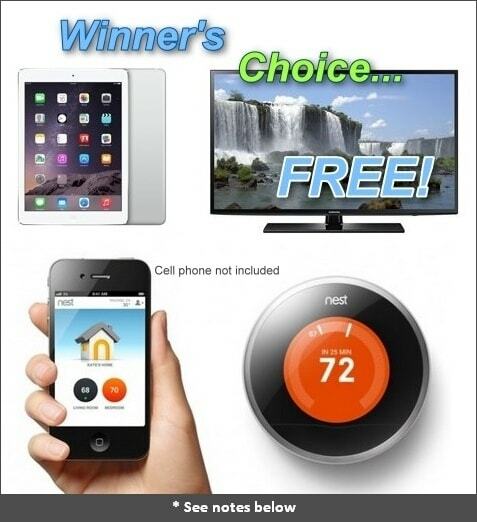 Great deals, plus Spring Rebates. Call today! 3/13/2017 - Blizzard? What Blizzard? We don't need no stinking Blizzard! Seriously though, we are expecting a major storm, so our office may be closed, but we will respond to emergency service calls. Please take precautions, be careful, and when it's over, remember to make sure your heat pump or any intake/exhaust vents are clear of snow and ice! 3/8/2017 - IT'S MARCH MAINTENANCE MADNESS! 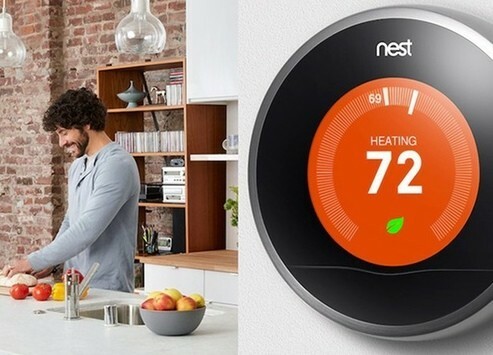 *Professional Version includes our Nest Pro Contractor Installation and a full 5-year warranty! Standard version comes with a 2-year warranty. This prize is valued at over $500.00! 3/3/2017 - You Asked For It, You Got It! We listen to our customers! 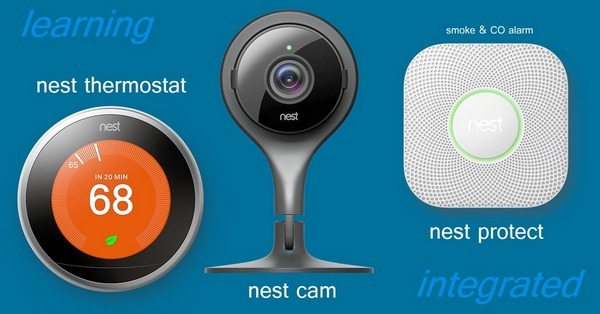 We are happy to announce that we are NOW a NEST PRO CONTRACTOR! And we have the Hottest New "Learning" Thermostat on the market! Come see it in action, and take it for a SPIN at the Home Show tonight or this weekend (details below). By the way, being a PRO CONTRACTOR gives you an extended 5 year warranty, along with our expert installations.